FSC introduces a new generation of stairwell fixtures with the L6000 Series LED Radial Wrap. 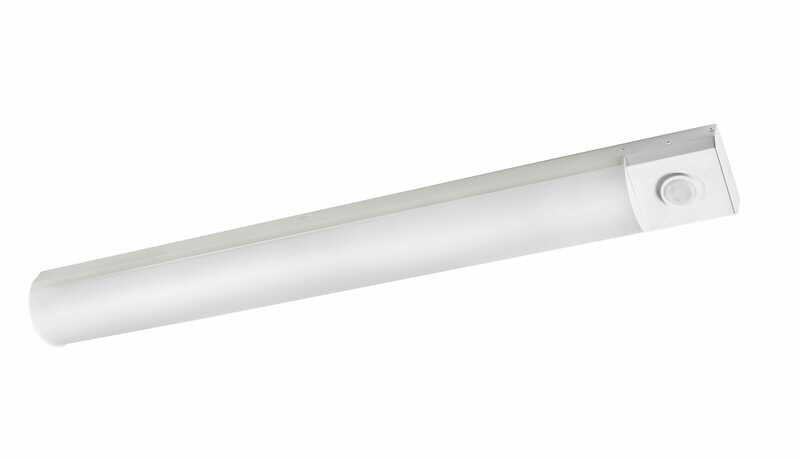 Ideal for stairwell lighting and utility applications the L6000 Series LED Radial Wrap replaces unsightly fixtures with an attractive alternative. The modern radial wraparound provides upgraded aesthetics in a cost effective and energy efficient package. The housing is manufactured from cold rolled steel and is finished in a white polyester polymer with a clear acrylic lens. To add further functionality, FSC has added an extended housing option which allows the sensor to be mounted internally within the box or externally depending on customer preference. Tool-less sensor mounting plate allows for easy access when making sensor adjustments or when performing fixture maintenance. Ideal for lighting stairwells, parking garages, distribution centers, laundry rooms, night lighting, covered parking, warehouse,corridor, canopies and multi-deck parking.